I found a bag stuffed deep in the darkest corner of the Wool Room. “What’s this in here, then?” I wondered as my hands delved in to find out. 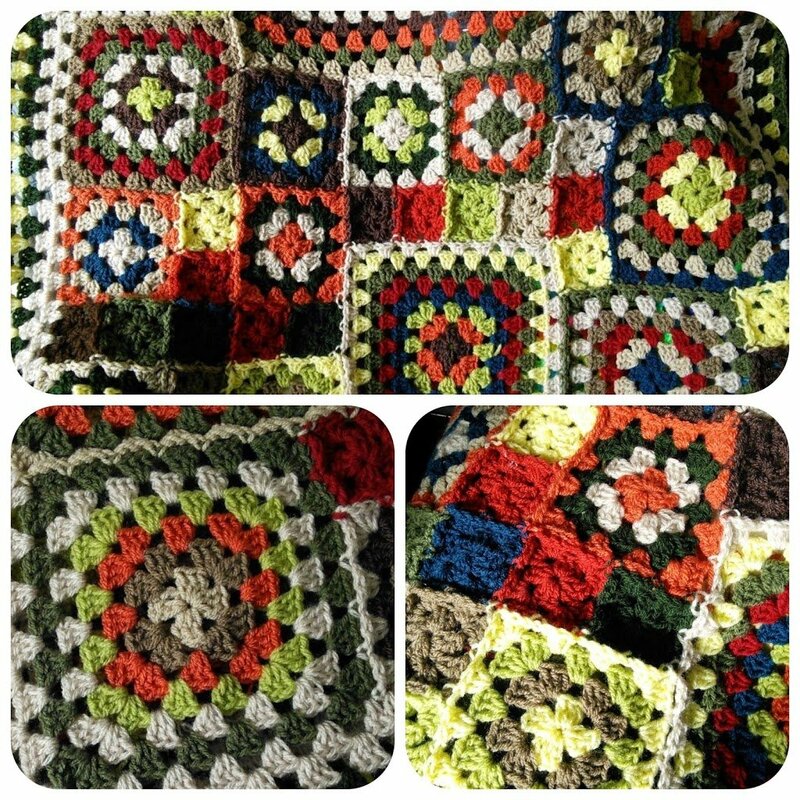 Out came an almost complete granny blanket! “Brilliant!” I thought smugly. Now I can finish something! For weeks I’ve been drowning in unfinished projects, tripping over almost-there’s and just-a-few-more-rows and tiptoeing past tottering piles of swatches and half complete something-or-others. Finally, here was something I could finish off whilst snuggled on the sofa with Hubble (the handsome cat) and a rather large glass of red wine. I slowly added a few rounds to the blanket to fatten it up a bit. 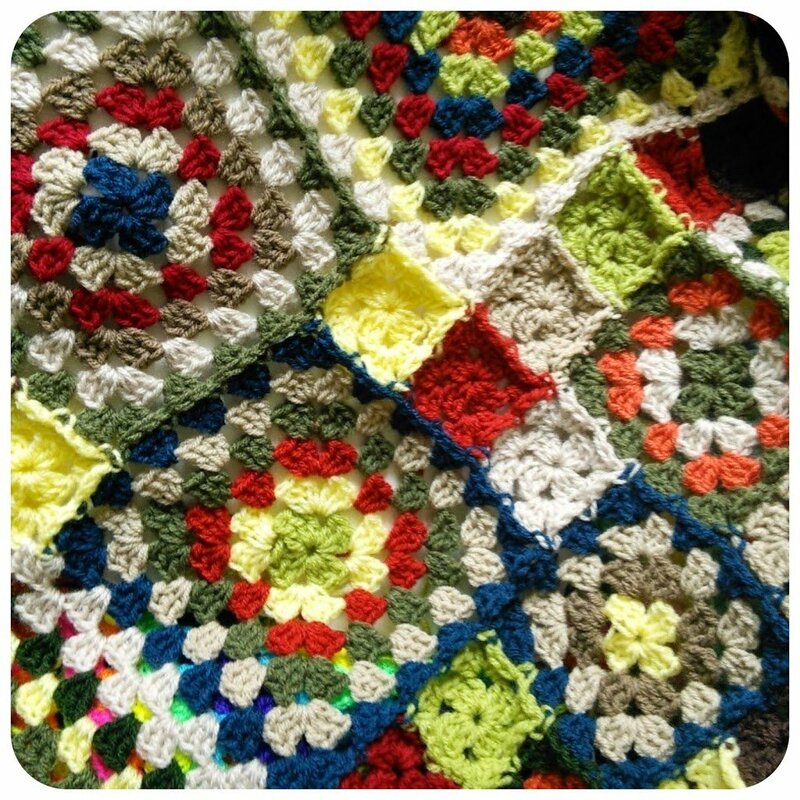 As I crocheted I dimly recalled that this blanket was going to be my Autumn Blanket for when the evenings started to get chilly back in September. I don’t know how I came to forget all about it but what a pleasant surprise to come across it again. Well, what a fine thing…a finished project in one evening! 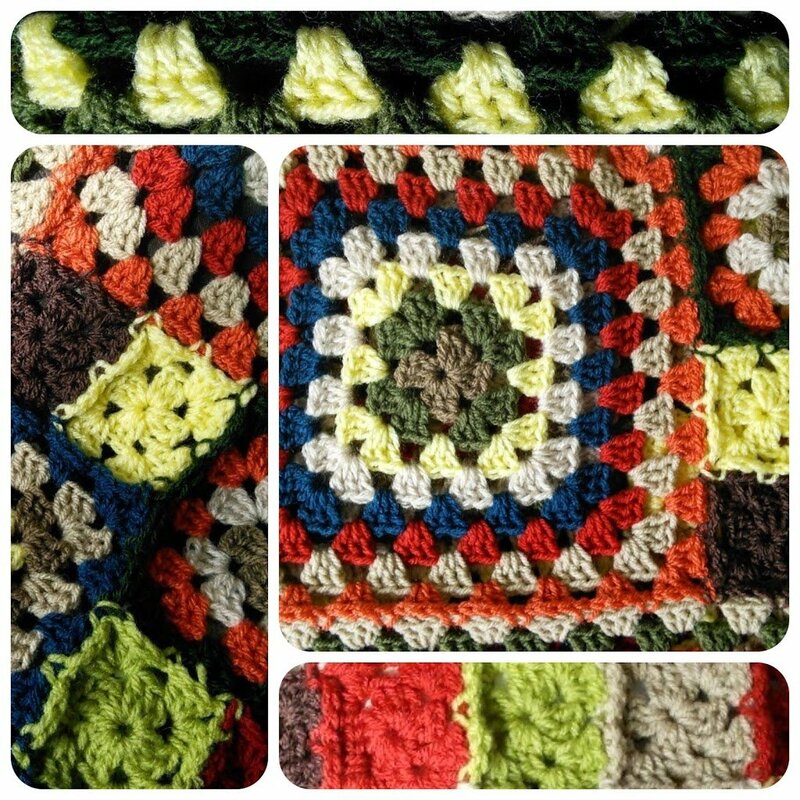 If you want your own granny blanket you can use this pattern. 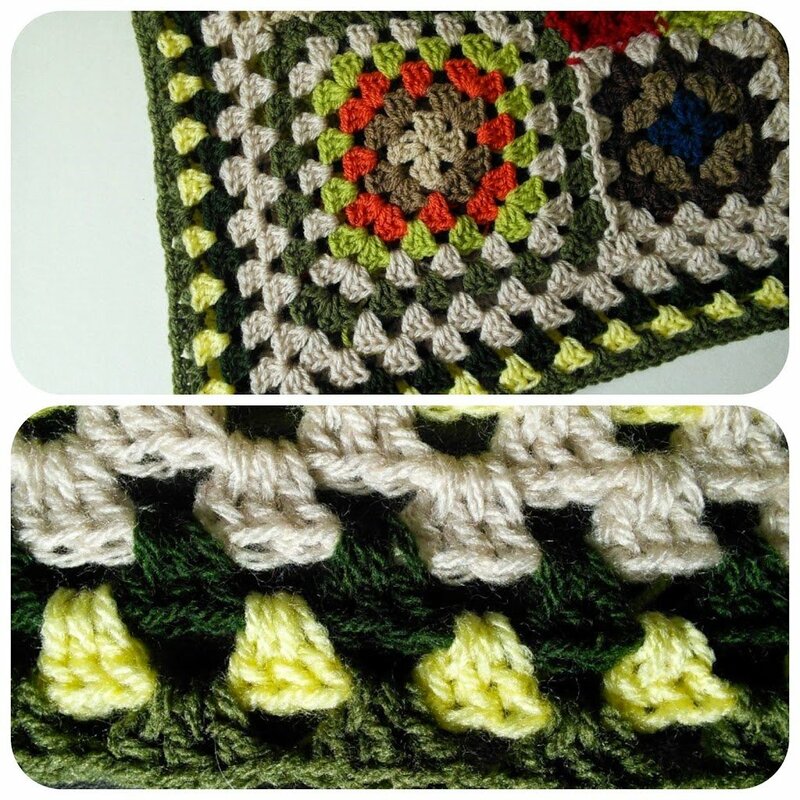 Its the granny square pattern I use for all of my granny blanket makes. Strangly enough that's a problem I get too. Starting things for me but putting them to one side when orders come in or the day job gets a little too tiring…. Curse of the crafter..! !